Most scientists believe less ozone pollution in the air Americans breathe would make people healthier. Texas' environmental regulators disagree. At the state agency responsible for protecting Texans from pollution, a cadre of scientists is now marshaling its arguments to fight tougher federal standards on ozone levels — even as the overwhelming majority of the scientific community heads in the other direction. Led by the state's chief toxicologist, the group has spent months fleshing out its position that ozone levels in cities across Texas, and the United States, aren't harmful to human health now. They join Republicans in Texas, and nationwide, who are vowing to fight any attempt by the Obama administration to lower acceptable limits any further. "I haven't seen the data that says lowering ozone will produce a health benefit. In fact, I've seen data that shows it might have a negative health benefit," Michael Honeycutt, chief toxicologist of the Texas Commission on Environmental Quality (TCEQ), said in an interview. Also known as smog, ozone forms when emissions from cars, coal plants and the like mix with other airborne compounds in the presence of sunlight. High ozone levels exacerbate conditions such as asthma, lung disease and heart disease, and may even lead to premature death. The current allowable ozone standard is 75 parts per billion, but a unanimous panel of scientists and doctors advising the U.S. Environmental Protection Agency say that level is far too high. After years of avoiding the issue, the EPA must propose a new standard by Dec. 1, and it is widely expected to lower the acceptable limit to 60 parts per billion. That will come at a cost. More than 100 million people in the nation live in areas that don't meet the current standards, including Houston, Dallas and San Antonio. At a standard of 60 parts per billion, Austin and El Paso may find themselves out of compliance as well, state officials say. The cost of scrubbing more ozone out of the air — including such things as extra pollution controls, air monitors and retrofitted industrial plants — could cost trillions nationwide, industry-funded studies have estimated. TCEQ scientists say those costs aren't worth it, and that lowering the standard isn't necessary. Honeycutt has long held that the voluminous scientific record on the health benefits of lowering ozone from its current levels is flawed. 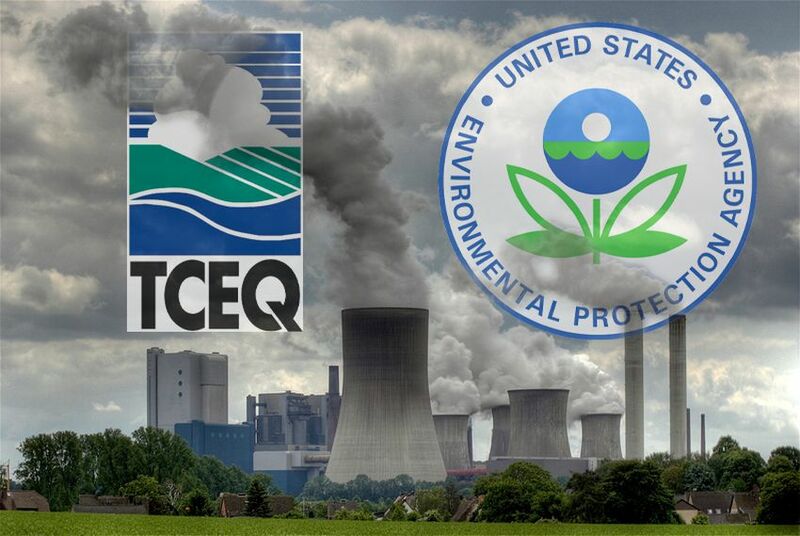 "After an in-depth review of the EPA’s analysis, as well as a thorough study of the relevant scientific literature, the TCEQ has concluded that there will be little to no public health benefit from lowering the current [ozone] standard," Honeycutt wrote in an article for the TCEQ's monthly newsletter. He added, "Why regulate something that is not really going to have a benefit?" But many of Honeycutt's broad arguments are misleading, said several Texas-based scientists who reviewed his article. "I think his write-up made a number of interesting points," said Dan Cohan, an associate professor of environmental engineering at Rice University. Ozone is a complex pollutant, and the health benefits of lowering it are notoriously difficult to measure, he said. But the fundamental idea that ozone levels in Texas cities are low enough today is false. "If we could get people to be exposed to less ozone, that would be a good thing for public health." Consider asthma sufferers. Experts have agreed for decades that ozone worsens asthma. Honeycutt argues that ozone levels have gone down dramatically in the past two decades, but asthma diagnoses have gone up. In Texas hospitals, Honeycutt said, asthma diagnoses actually increase in the winter, when ozone levels are relatively low. "If asthma were actually tied to ozone, you would expect to see the instances of asthma decreasing, not increasing," Honeycutt wrote. A classic "correlation vs. causation" mistake, said other experts. "This statement disregards the epidemiology of asthma," said Robert Haley, professor of internal medicine and director of the Epidemiology Division at the University of Texas Southwestern Medical Center. Winter's cold and flu seasons, pollens in the spring and fall, and ozone in the summer all fuel swings in asthma cases, he said. Lowering ozone levels will certainly help part of the problem. "Asthmatic kids and [lung disease] patients can’t go out and play or exercise in the summer months because ozone will inflame their asthma," Haley said. Cohan, Haley and Jennifer Vanos, an assistant professor of atmospheric sciences at Texas Tech University, also take issue with another of Honeycutt's assertions — that high ozone levels outside can't do much harm because most people spend more than 90 percent of their time inside. "By ignoring that and ignoring ozone and saying it’s okay, what we’re going to do is resulting in people spending even more time indoors, which we don’t want either," said Vanos, who studies the effects of air pollution on human health. Some of Honeycutt's points have merit, the scientists said. Paradoxically, lowering levels of nitrogen oxide (a pollutant that contributes to forming ozone) can temporarily increase ozone levels, because nitrogen oxide also helps dissipate fully formed ozone. That's why the EPA predicts a slight increase in premature deaths if ozone standards are lowered. In Houston, for instance, the agency says a few dozen more deaths could occur — a point Honeycutt said is buried in hundreds of pages of reports. Models do predict a slight increase in premature deaths at first, said Elena Craft, a senior health scientist at the advocacy group Environmental Defense Fund. She likens it to research suggesting that smokers have a heightened risk of lung cancer immediately after quitting, but then the risk drops off significantly. But Honeycutt said the TCEQ will continue to work on questioning the scientific consensus. The agency has hired a Massachusetts-based consulting research firm, Gradient, to "provide a comprehensive review and report of the scientific literature addressing potential impact of ozone on asthma," according to spokesman Terry Clawson, at a cost to taxpayers of about $300,000. That puts Texas environmental regulators in a lonely position questioning decades of scientific data, said Janice Nolen, an assistant vice president at the American Lung Association. "We have an argument every time we do this — that it isn’t needed and it’s going to be too expensive or the science doesn’t show it, and we’ve shot those down every single time," she said. The opinion was written by Justice Antonin Scalia, one of the most conservative on the bench, Nolen noted. “When you’ve lost at that level, I think you see this sort of frustration."